Our friends from our neighbor province of Sarangani invites us to join them in the biggest and grandest beach party this year in Mindanao. Get ready for the SARANGANI BAY FESTIVAL 2012! 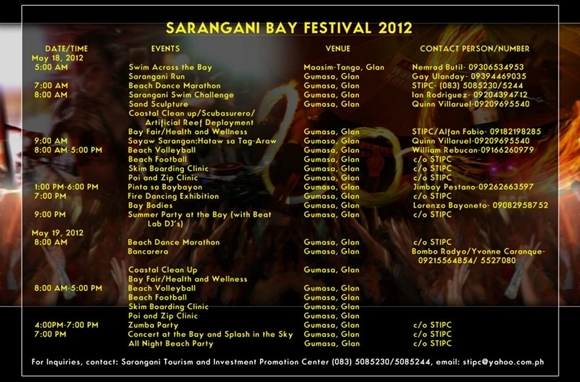 Check the lineup of activities below for Sarangani Bay Festival 2012 and mark your calendar as early as today.